Can You Name All 50 States? My Coworkers Definitely Can't. I'm not from the US. So sometimes, I'm not immediately sure which states are Midwestern and which are Southern. And clearly, there's not a consensus of opinion. But you'd think my American compatriots (and coworkers), growing up here, would definitely know all 50 states. Because, well, everyone learns that in grade school. 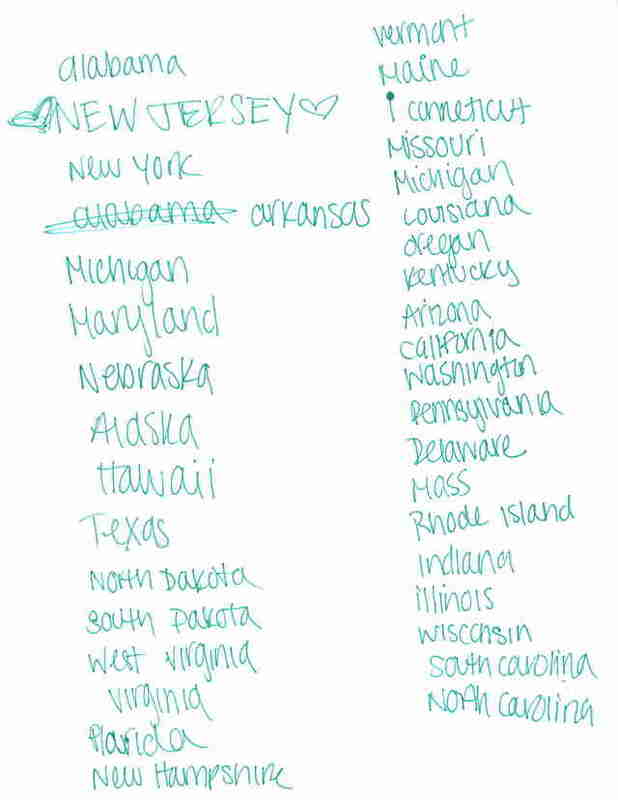 To test my hypothesis, I asked 20 coworkers to list as many states as they could, in no particular order, in five minutes. The results of the challenge were interesting. And by interesting, I mean in the way an art teacher calls the blobs of paint on a 9-year-old's canvas "interesting." 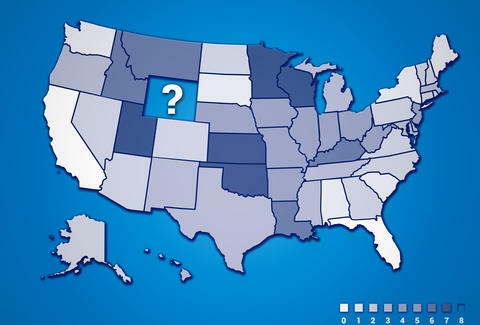 Turns out, Americans forget about Wyoming... a lot. Eight out of 20 of my coworkers totally blanked on the nation’s least populous state and the home to Jackson Hole Soda. After that, Kansas, Minnesota, Oklahoma, Utah, and Wisconsin came in a five-way tie for being forgotten, proving people fly over these states as much in their brains as they do in planes. Unsurprisingly, nobody forgot California and Florida -- though one person DID forget the state he lives and works in (New York). I’m looking at you, Jeremy. Alabama, Maine, South Dakota, and Washington, were also only missed once. Some states were liked enough, they showed up twice: Alaska, Delaware, Michigan, and Virginia, all showed up multiple times on the same list. Who knew Delaware was so memorable? On average, people remembered 38 states, but one nameless bozo only got 26. 26! That's barely 50%. Just three test-takers, [ed. note: I'm one of them], managed to get all 50. They had a clear advantage over everyone else, though, because they had Fifty Nifty memorized -- elementary school apparently leaves lifelong scars. The below example is by someone from New Jersey who apparently doesn't know the song. Here are all 50 states, from most to least memorable, along with how many times they were forgotten. I'll be honest: I don't feel so bad about not knowing this stuff anymore. For a full breakdown of the results head here, and please don't judge anyone. Except Jeremy, who lives in New York and left it off his list. For shame, Jeremy.